Time you spend in start-up costs, management, maintenance and repairs is time you could be spending making money somewhere else! One important area for continued cost savings is your rental flooring. 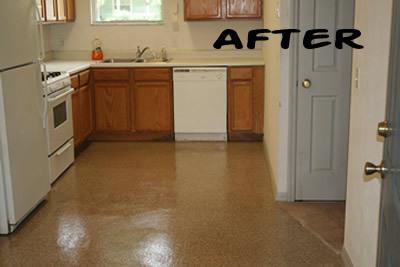 Whether it’s the kitchen, den, child’s room or any high-traffic room, Everlast’s epoxy floor coating is an economical, durable and attractive choice for your rental property. Easy to install – by a local contractor or a handy do-it-yourselfer – and ready to use within a day, Everlast’s epoxy resin poured flooring will last a lifetime. As it cures, it actually bonds with the sub-flooring to create a new surface. Tough, water and crack resistant, it’s also an attractive addition to any home. And when it comes to maintenance, once is enough. Unlike wood or tile flooring, there is no constant upkeep or annual expense with seamless Everlast Epoxy flooring. No grout to clean, tiles to replace; no sanding, staining, painting or refinishing. Even for everyday clean-up, with it’s seamless finish, and skid-free texture from natural stones, just mop and go. Besides saving time, you can also save money! 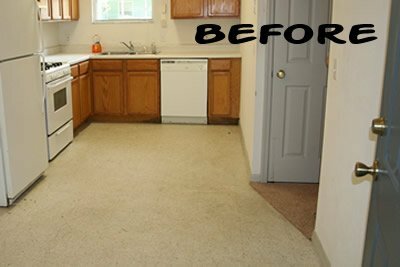 No more paying to refinish the floor after every tenant. And by the way, if you’d like to attract an even wider range of potential renters, as a “pet-friendly” landlord, we make it easy. Everlast Epoxy flooring is formulated with an Environmental Protection Agency (EPA) -registered ingredient that stops the growth of harmful microbes, bacteria, bad odors and stains. Now you have an even wider range of potential renters with no added costs so why use anything else?